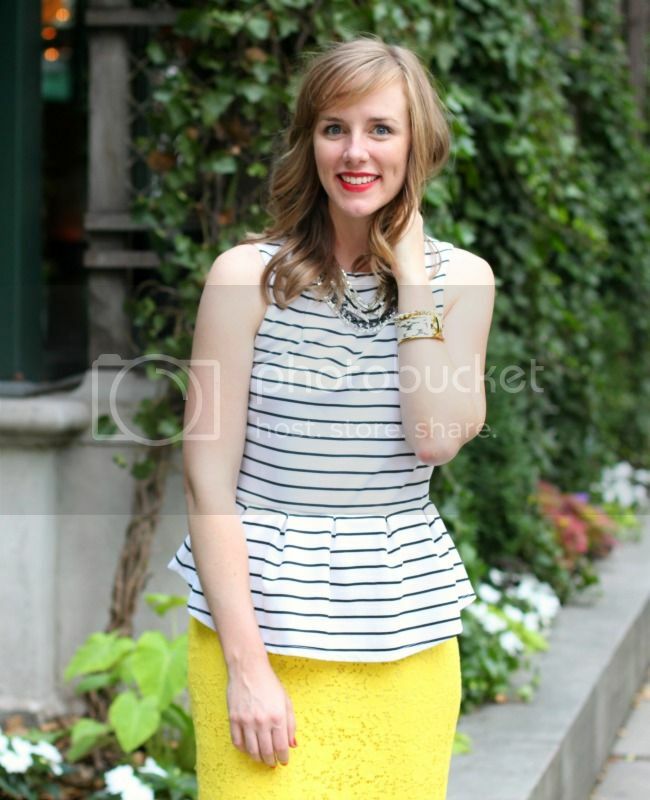 I've been so excited about this post! 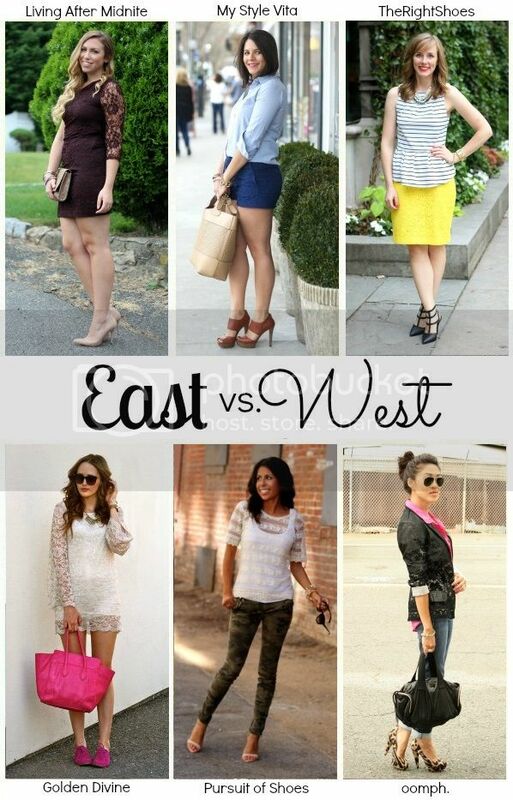 It is the last post in our East v. West style collab (sad face) but it's my favorite theme/trend: lace. I currently have a ridiculous amount of lace in my closet so it was really tough deciding which piece to style, but I finally decided on my current favorite pencil skirt. This guy has been in heavy rotation lately and for good reason - the color is so perfect for the summer and it goes with so. many. things. I need to wear those shoes asap! it's such a great color, too! 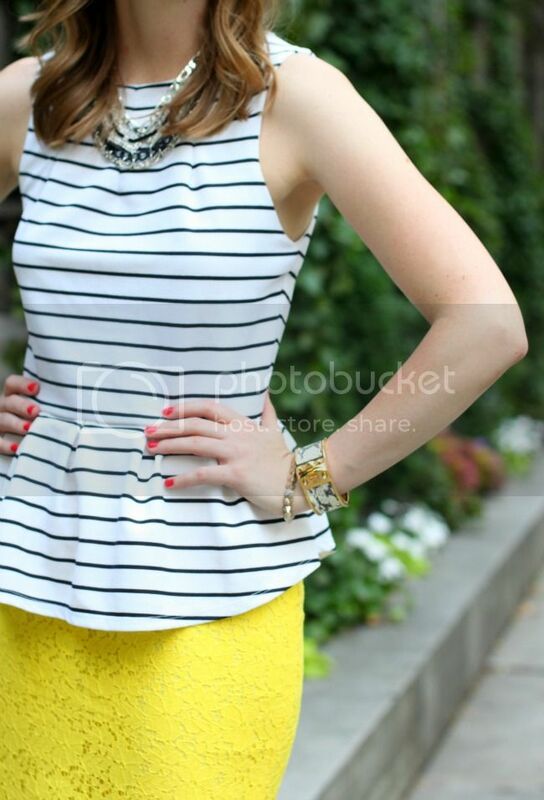 it's perfect with the striped peplum top!